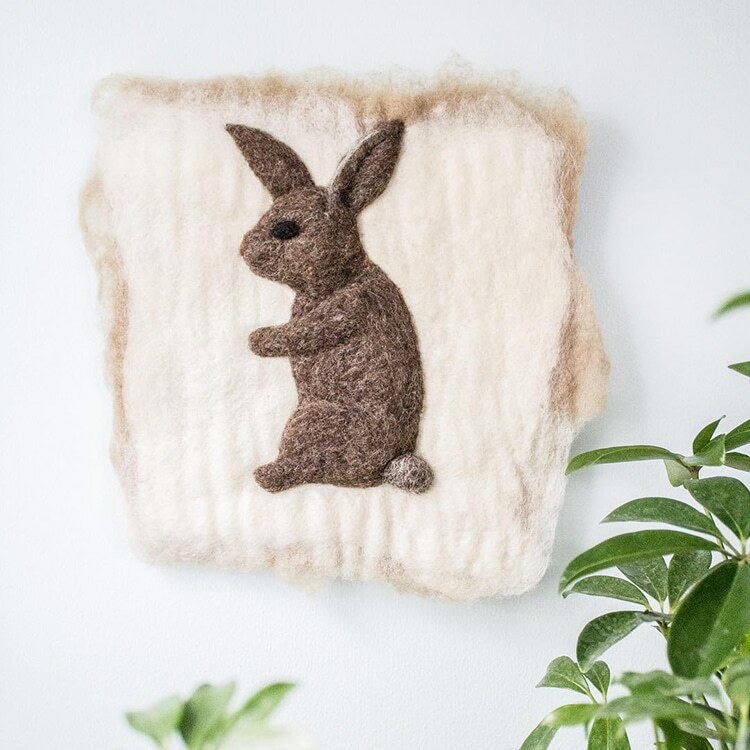 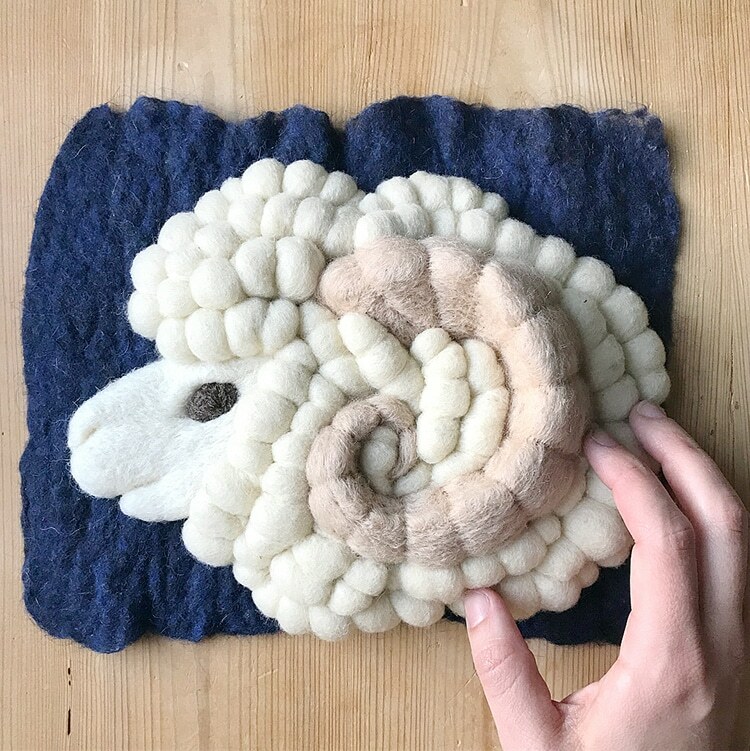 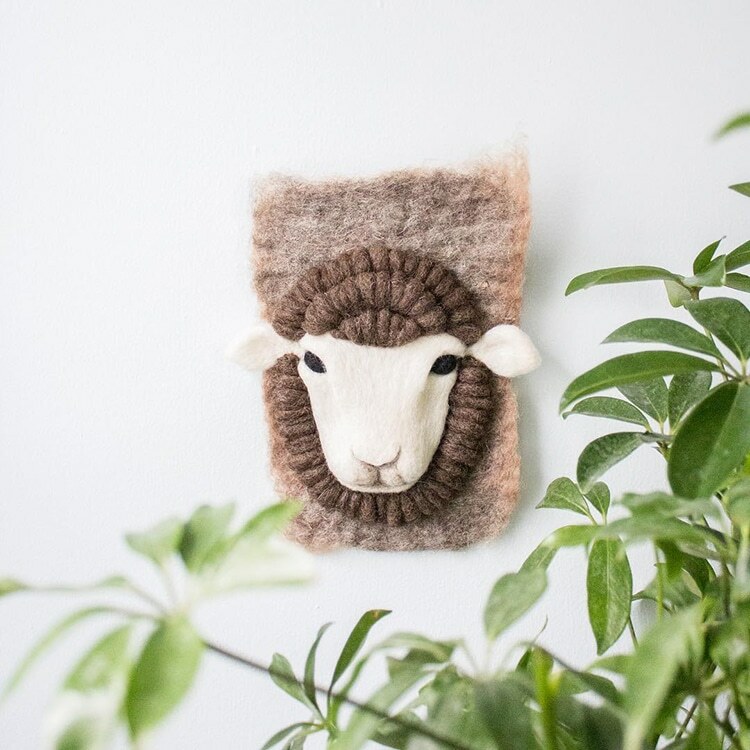 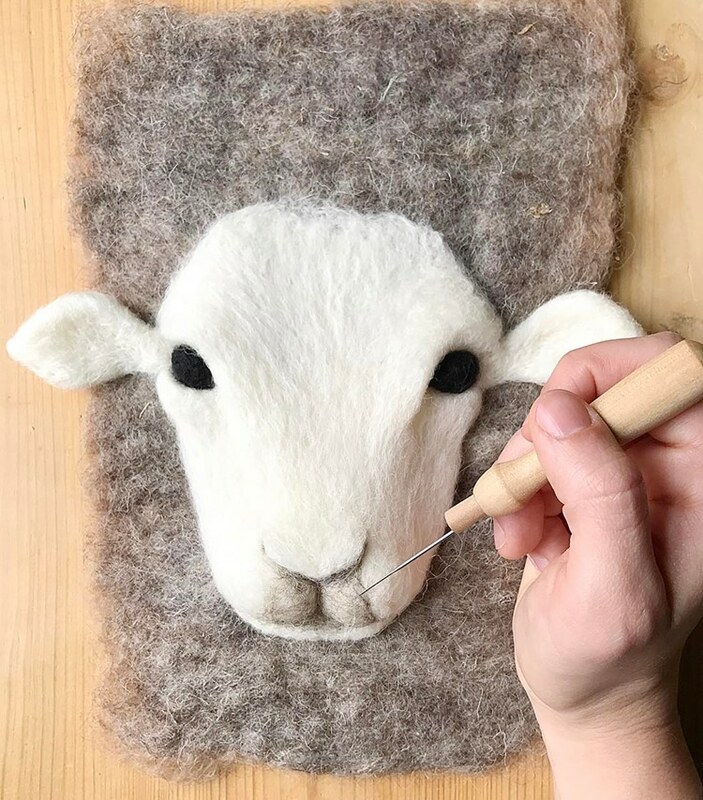 Philadelphia-based textile artist Holly Guertin (aka Ernie and Irene) creates three-dimensional, felted animal wall hangings. 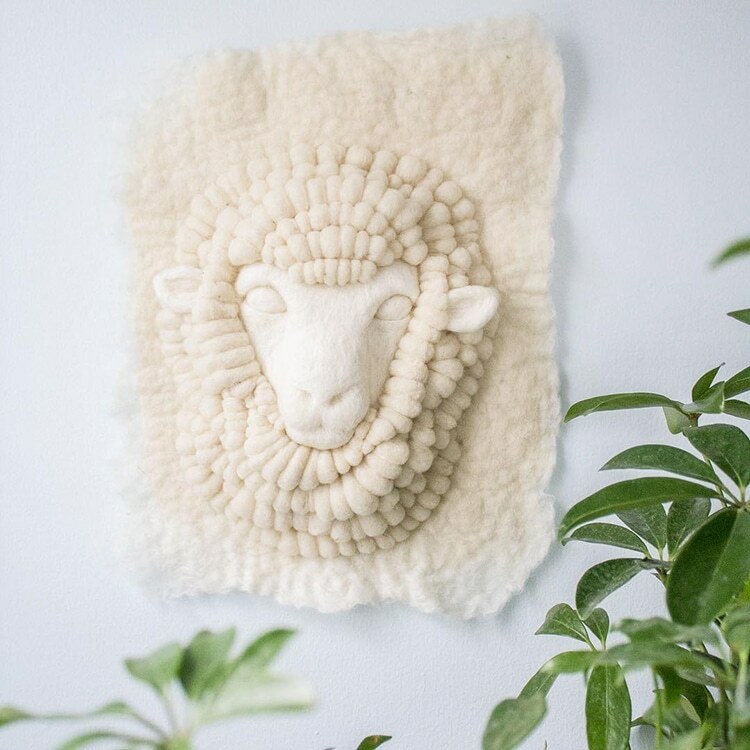 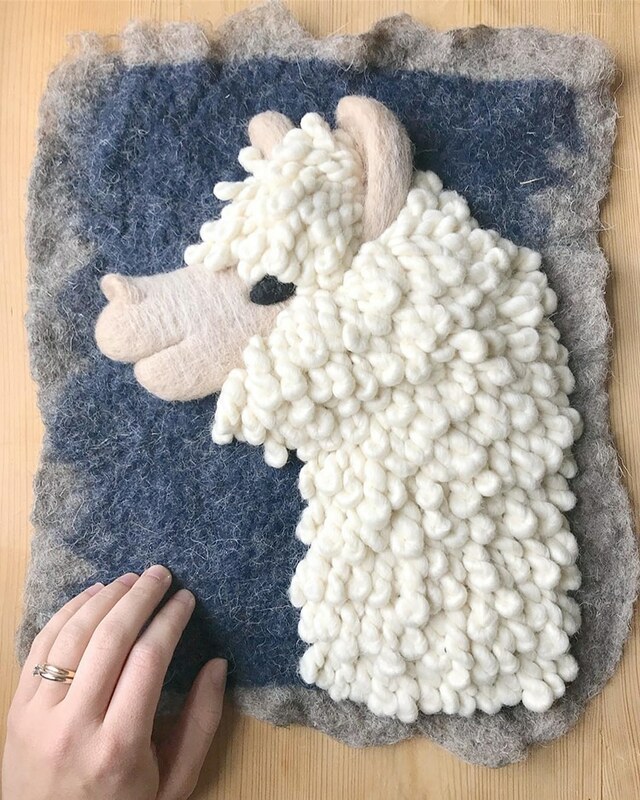 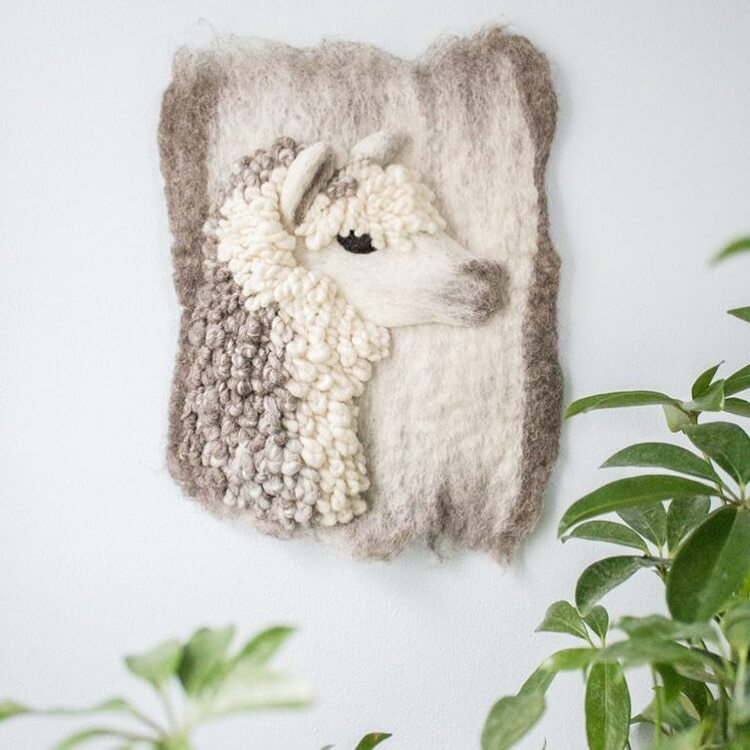 Using a needle and wool, the fiber art pieces depict portraits of fluffy creatures such as llamas, sheep, and alpacas, that look perfectly at home mounted on a bed of fuzzy felt. 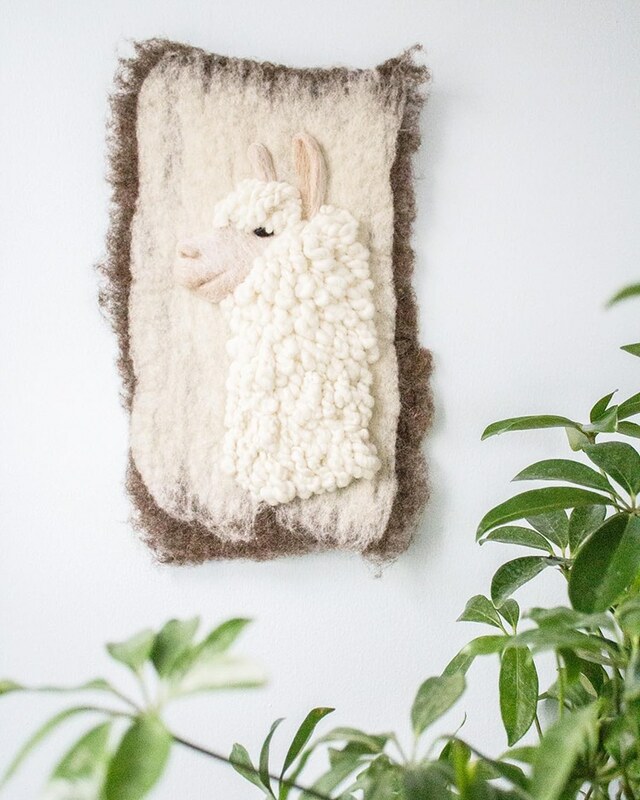 The tangible “meaningful pieces for beautiful spaces” are ready-to-hang with loops at the back of each piece. 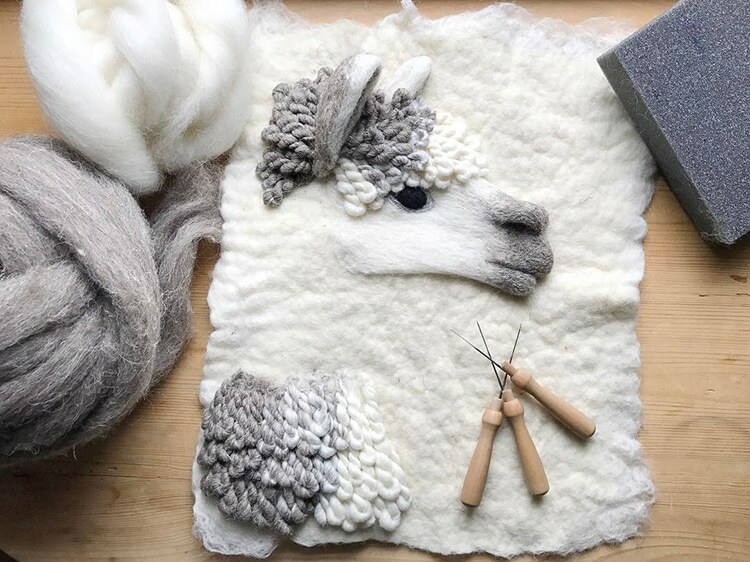 Guertin uses a combination of two techniques to hand-craft each piece. 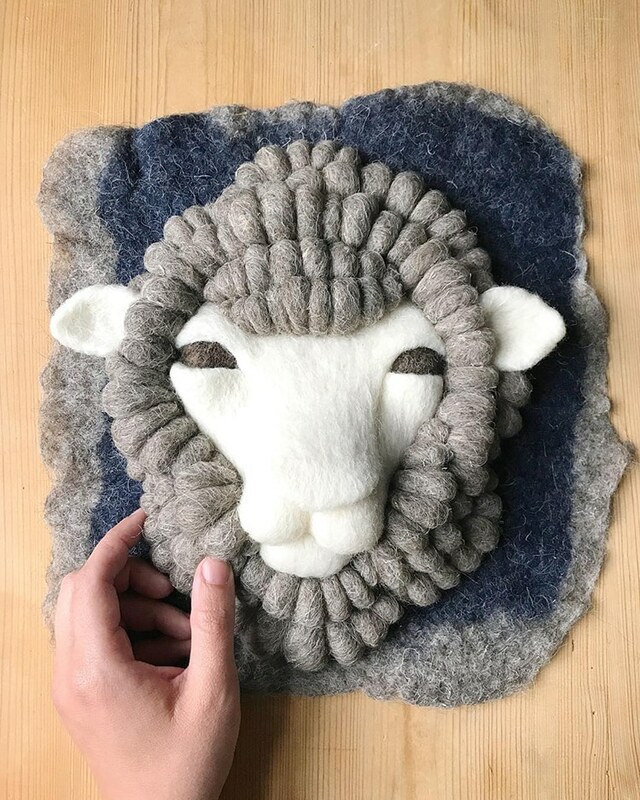 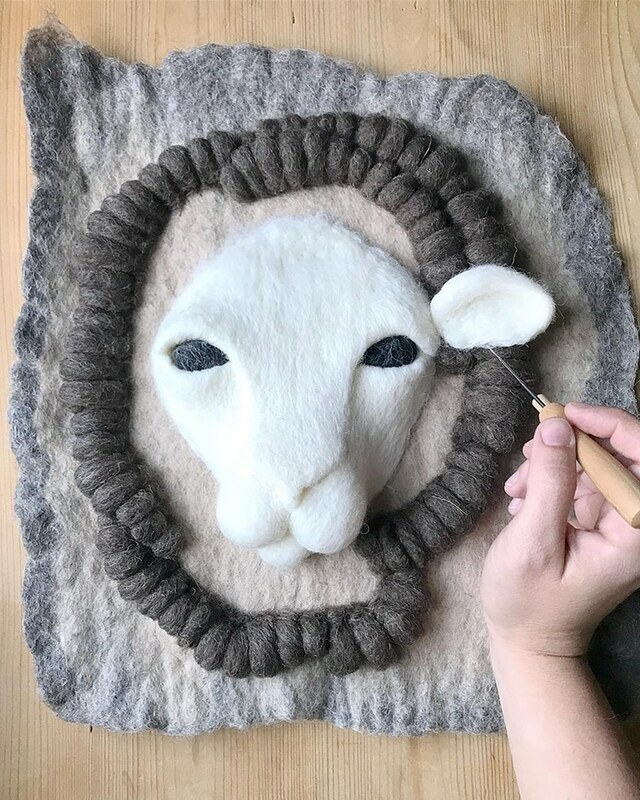 For the base, the artist uses “wet felting,” an ancient craft that involves merging layers of wool fibers and yarns into one flat piece of felt fabric. 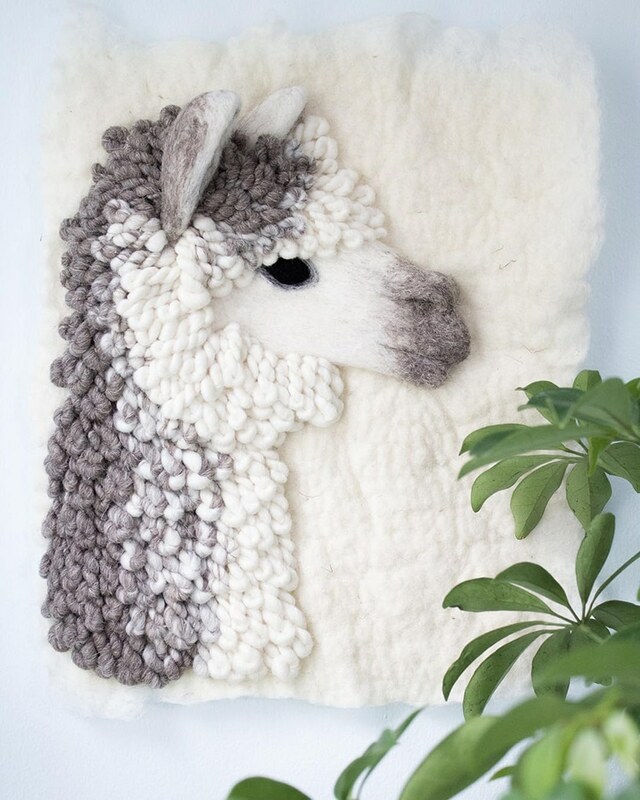 The raised elements are crafted with complex needlework, recreating the textured “pencil-like locks” of an alpaca. 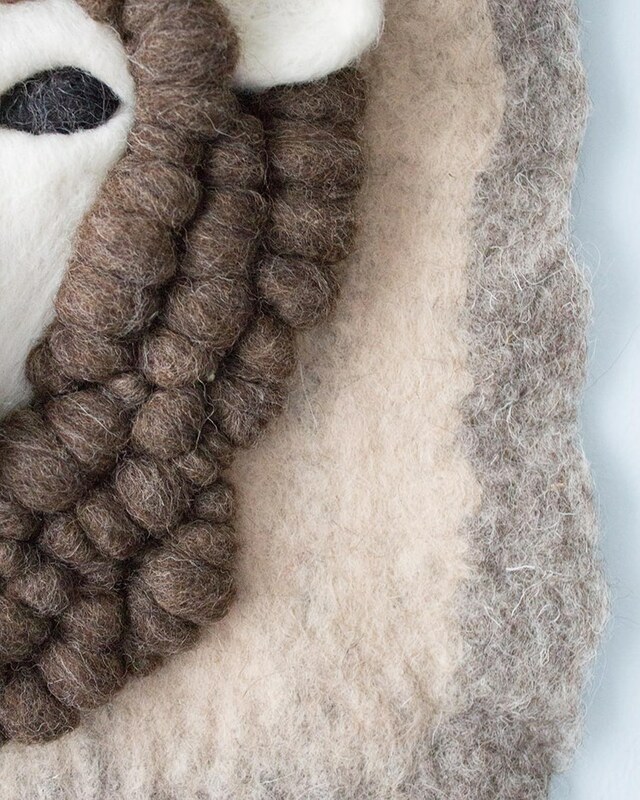 To get this specific look and feel, each strand is meticulously twisted and attached to the base. 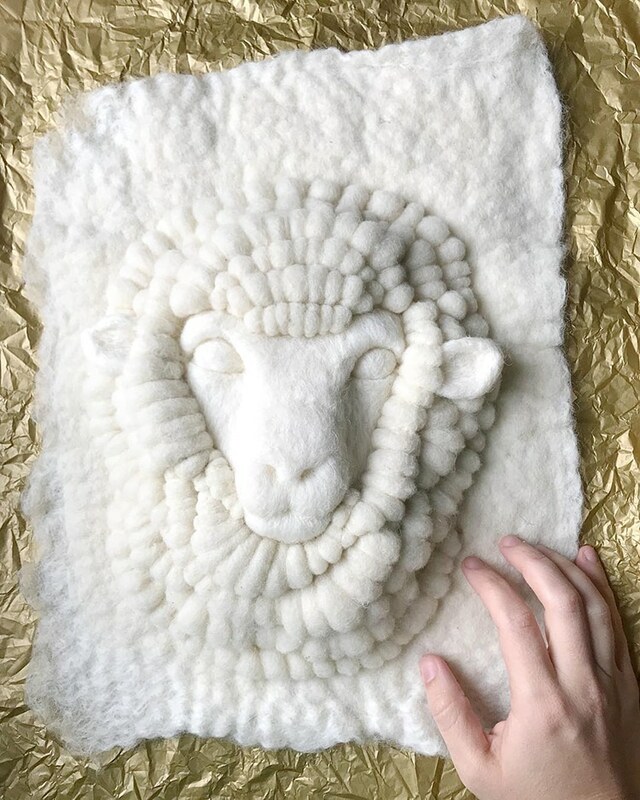 “It is the result of hours of intricate work to develop a pronounced three-dimensional shape with unique textures and surfaces,” Guertin explains. 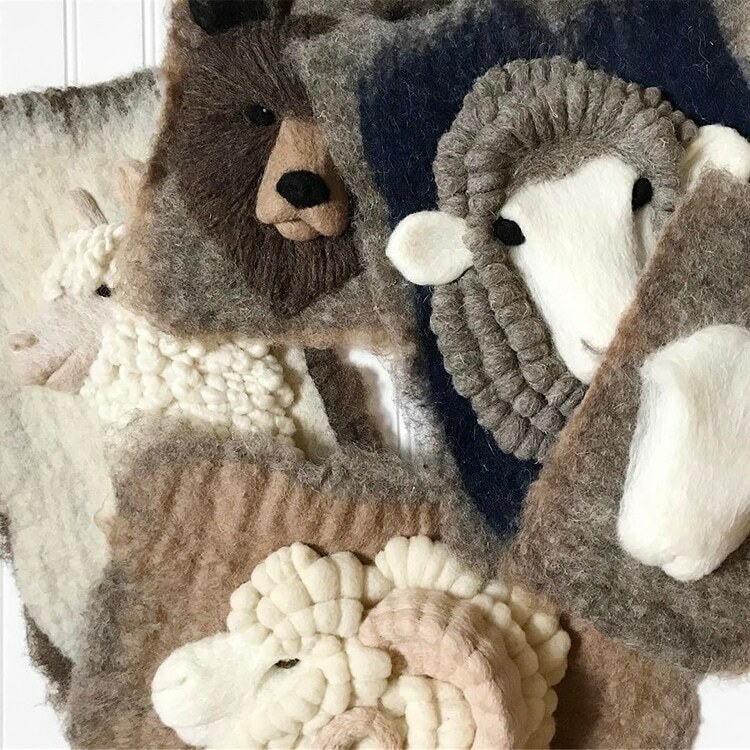 In most cases, the animals are rendered in various tones of natural colored wool—typically white, cream, and gray. 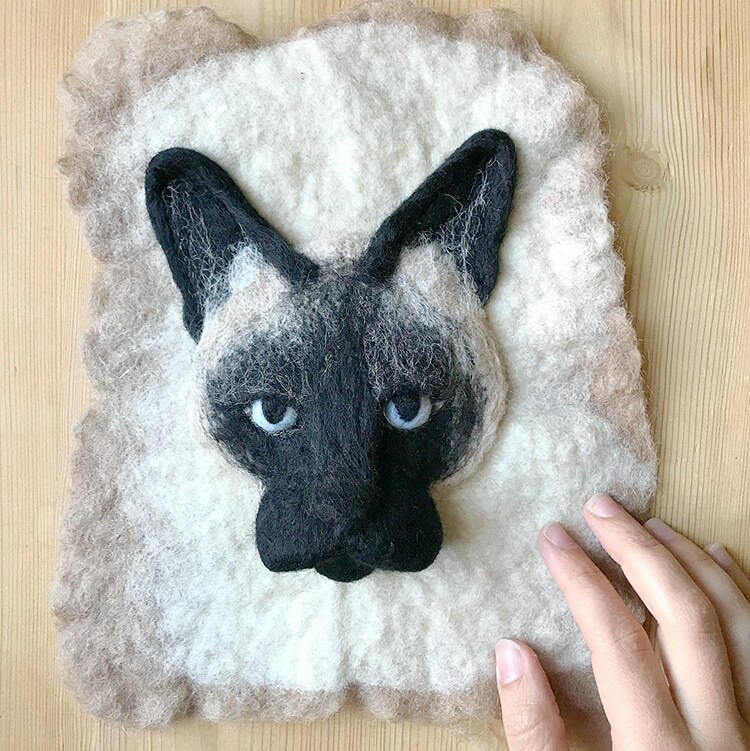 However, there are also some pieces featuring dyed indigo wool, which can be seen in the artist’s fuzzy, blue-eyed cat. 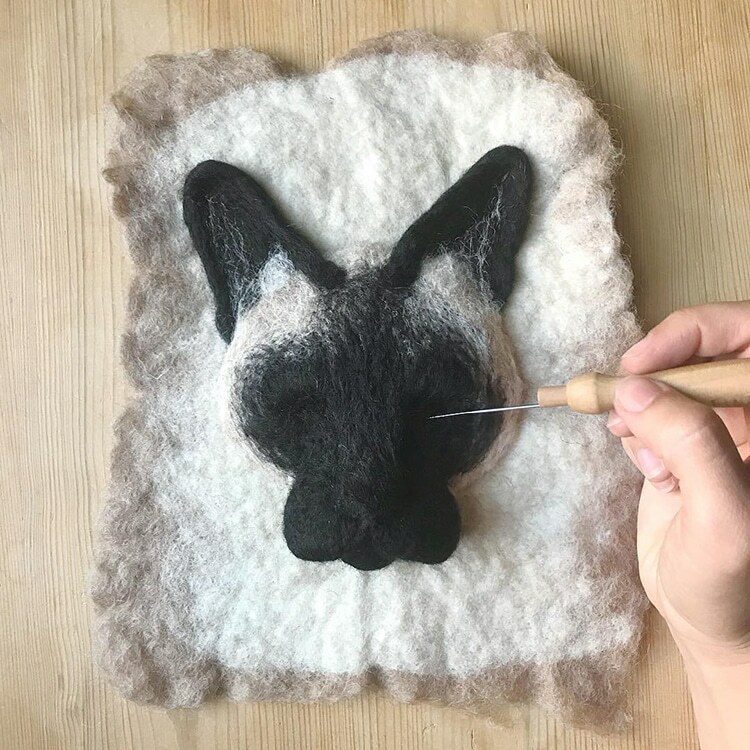 To get your hands on one of Guertin’s felted animal portraits, they are available in the Ernie and Irene online shop, as well as on Etsy. 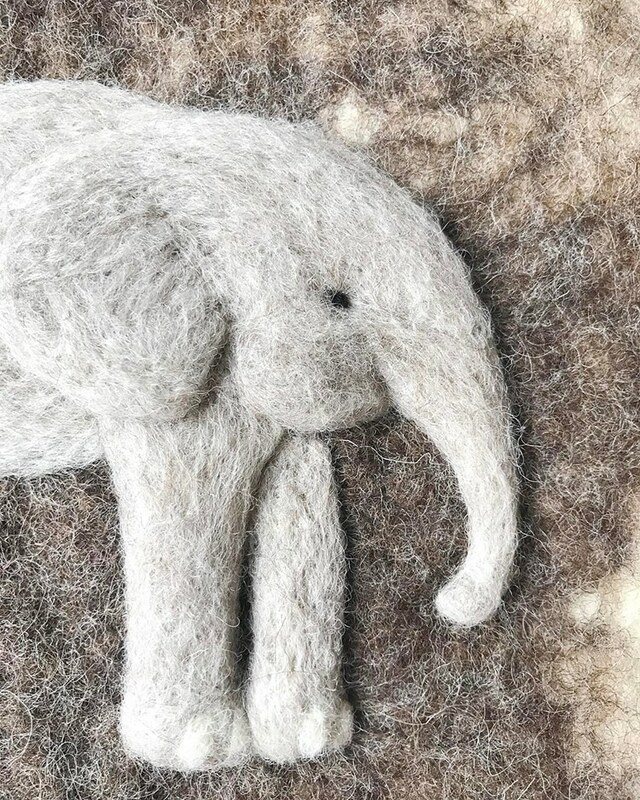 To see more designs and behind-the-scenes images, follow Ernie and Irene on Instagram. 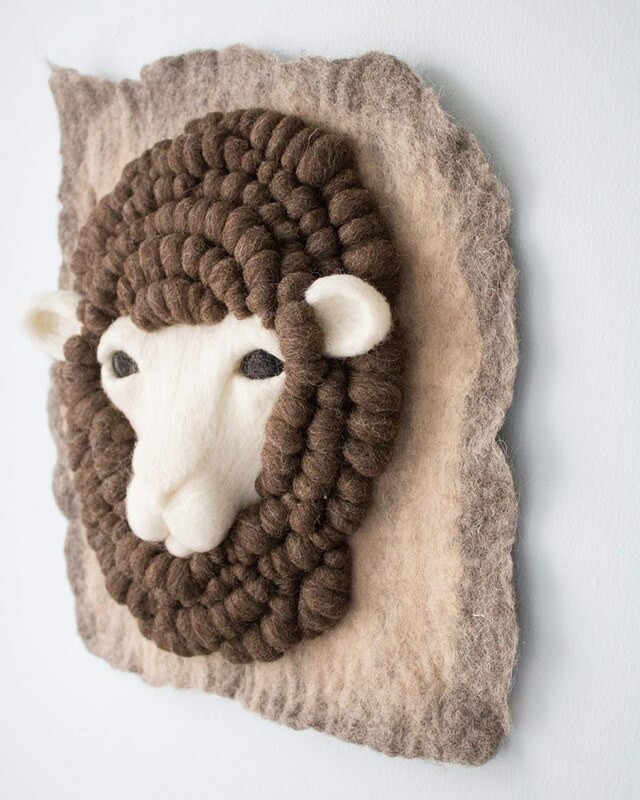 Textile artist Holly Guertin (aka Ernie and Irene) creates three-dimensional, felted animal wall hangings. 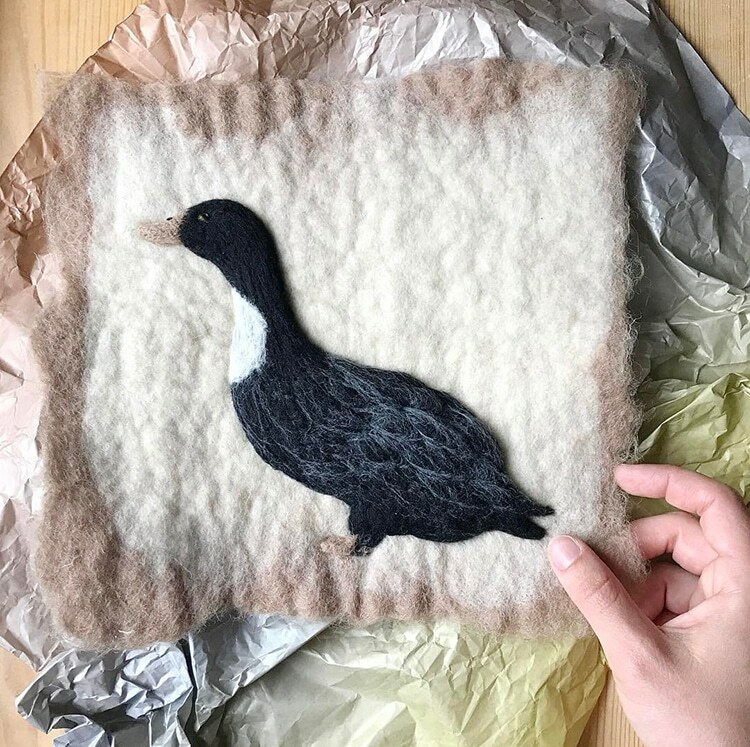 Each piece is made from a combination of two techniques—wet felting, and intricate needlework. 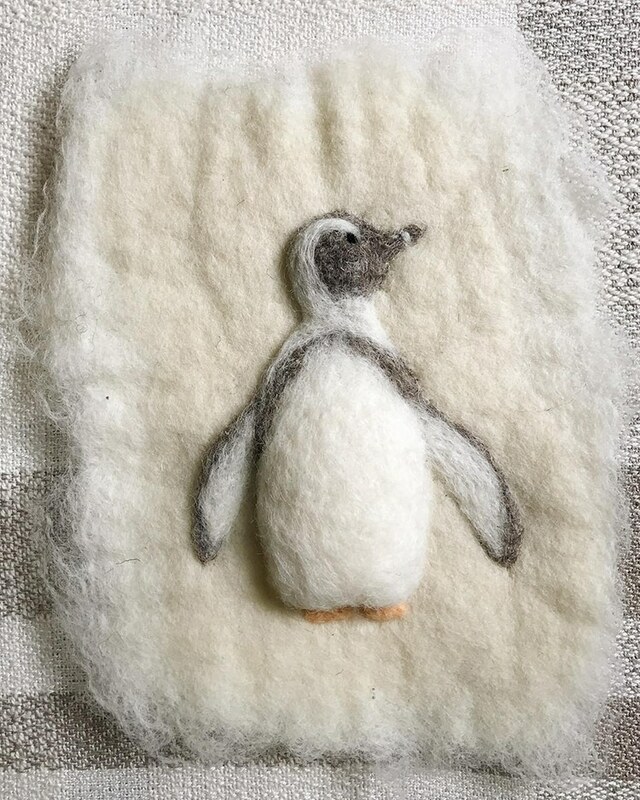 All images via Ernie and Irene. 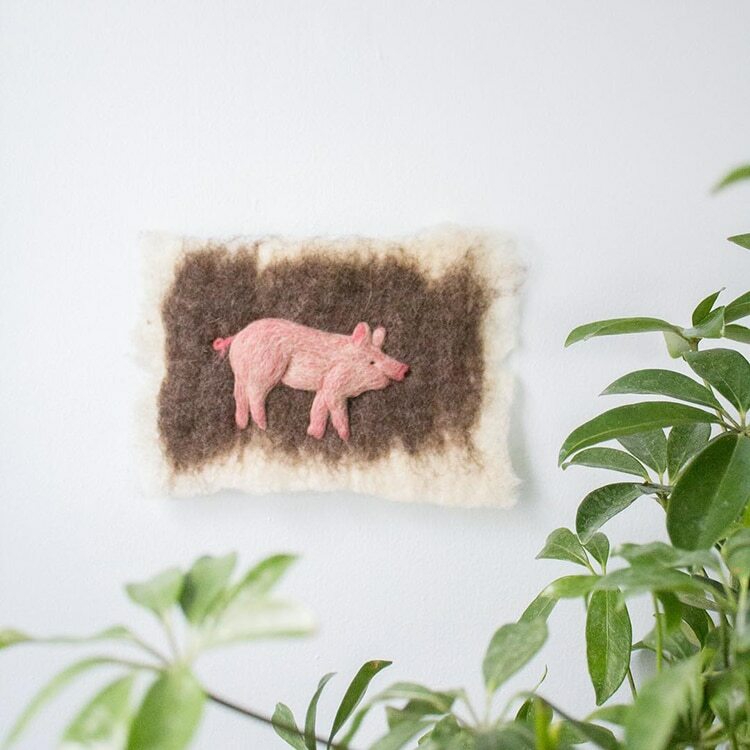 The post Textile Artist Hand-Crafts Fuzzy Felted Animals Made From Wool appeared first on My Modern Met.